The Exhibition and Event Association of Australasia (EEAA) is pleased to announce the finalists and nominees for the EEAA 2018 Awards for Excellence. This year, the Association received more entries across 19 categories as the industry enthusiastically embraced the opportunity to put the spotlight on its best people and best work. Chief Executive of the EEAA, Joyce DiMascio said the awards have attracted 16 percent more entries than in 2017 and the range of entries reflected a great diversity of activity and people doing outstanding work. “We congratulate the nominees and finalists from around Australia, as well as Chair of Judges, John Trevillian and our panel of 35 independent judges including nine international leaders who assessed the entries,” DiMascio said. Entries were received from Queensland, New South Wales, Victoria, South Australia and Western Australia. The finalists will join the EEAA community for the awards celebration at ICC Sydney on 5 December. The nominees will be announced on the Awards night. The nominees will be announced on the Awards night. They will be the winners of the show categories. Each award was judged by a minimum of 3 judges and nominees for the Richard Geddes Young Achiever Award were also interviewed by 3 judges. The winner of each “show” category has been submitted for a second round of judging to determine the show of the year in the “Best Show” category. What is new in 2018? For the first time we will present the inaugural winners of two new categories. They are the “Most Creative Innovation in Event “Experience” Delivery” and “Best New Initiative – Large Scale Venue”. The Entry Criteria in 2018 was revised to include criteria used to evaluate best shows in the international awards program of the EEAA’s international partner, the Association of Event Organisers (AEO) Awards. Entrants were also asked to include information about their sustainability practices. “The Awards for Excellence program is a big undertaking and we are immensely grateful to all our partners, supporters, judges and volunteers who help us deliver this important event and celebration of the fine work and outstanding people in the EEAA community.” Ms DiMascio said. Registrations are now open for the EEAA 2018 Awards for Excellence Gala Dinner on 5 December at International Convention Centre Sydney. The Exhibition and Event Association of Australasia has just scored a major international keynote speaker. While we celebrated International Women’s Day by blasting Beyoncé’s ‘Run the World’, others used the day for more productive pursuits. Give your wardrobe the Marie Kondo treatment for a good cause at the Exhibition and Event Association of Australasia’s International Women’s Day breakfast. 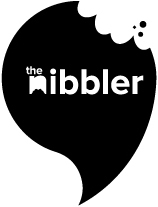 Stay up to date with The Nibbler’s FREE newsletter for news, deals, tips and inspiration.